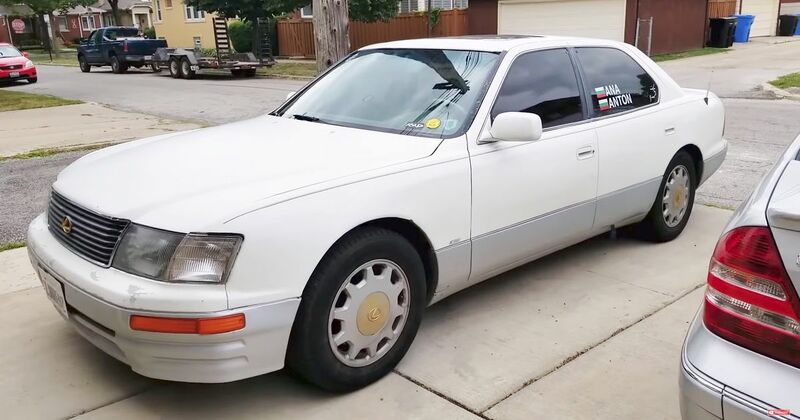 Not many cars will ever get past 500,000 miles, but this Lexus LS400, on its entirely original engine, isn’t far short of racking up one million. Owned by Matt Farah, the man behind Instagram account @thesmokingtire, this 983,000-miler makes our high-mileage Skoda Octavia look like a young pup, and without the benefit of the kind of love that Miles has been given, things are not all rosy underneath the poor old LS. Right now it’s on a mammoth tour of North America in the care of travellers and Instagrammers @Adventureholix, otherwise known as Ana and Anton. The couple have already covered 10,000 miles in the venerable old boat, which has a whole host of warning lights on the dashboard. 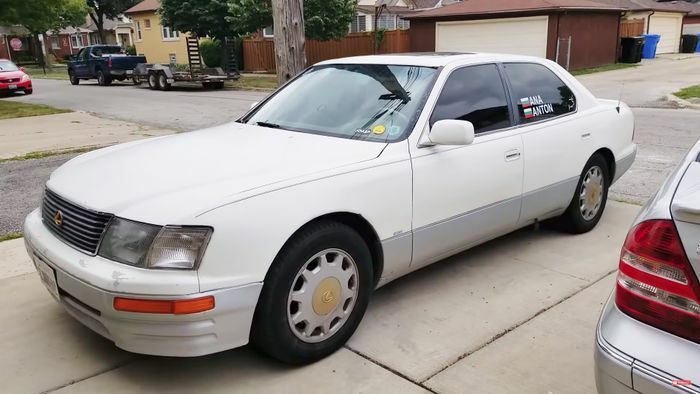 After a rear-end vibration halted the car’s progress in Chicago, close to where YouTube mechanic LegitStreetCars lives, the fixer decided to get it up on his four-post lift to check out the greasy bits. He also plugged it into a fault code reader, which only talked to the ECU but, amazingly, turned up nothing serious. There are pretty major oil leaks, although the constant influx of fresh oil top-ups is probably actually helping keep the engine sweet. The differential is moving around massively, stressing the rest of the drivetrain, and several suspension arms are utterly dead – and not cheap to replace. LegitStreetCars estimates an urgent repair bill of about $3000. The only slight issue is that Adventureholix still have 5000 miles to go on their trip before giving the car back to Matt Farah. Good luck, guys; go easy on the car. It’s earned a quiet retirement.